Intrigue and interest for the igloo began when inquiring into the central idea that “relationships exist between number, measurement and geometry” with a focus on area and perimeter. As we discussed igloos, the students worked through a myriad of tasks, investigating, using newspaper to work out the best size for the base of an igloo and then exploring ways to calculate the area of their newspaper base. One group constructed a circular base and we discussed the idea of a formula to work out the area of a circle as well as using string to measure circumference. It became evident that students’ interests, commitment and motivation in the igloo project allowed us to go beyond mathematical grade level outcomes. We estimated and calculated the perimeter and area of an igloo for one person, three and then five people. Students looked for patterns in the different sizes, as such applying their knowledge and skills to create a table of values. After investigating the mathematical concepts of the igloo, we were excited to move onto the construction stage. There was a lot of discussion about what would be a good size and estimating the number of milk cartons needed to construct their igloo. Students formulated a range of questions that focused on the creation of the structure. How many people do we want to fit into the igloo? 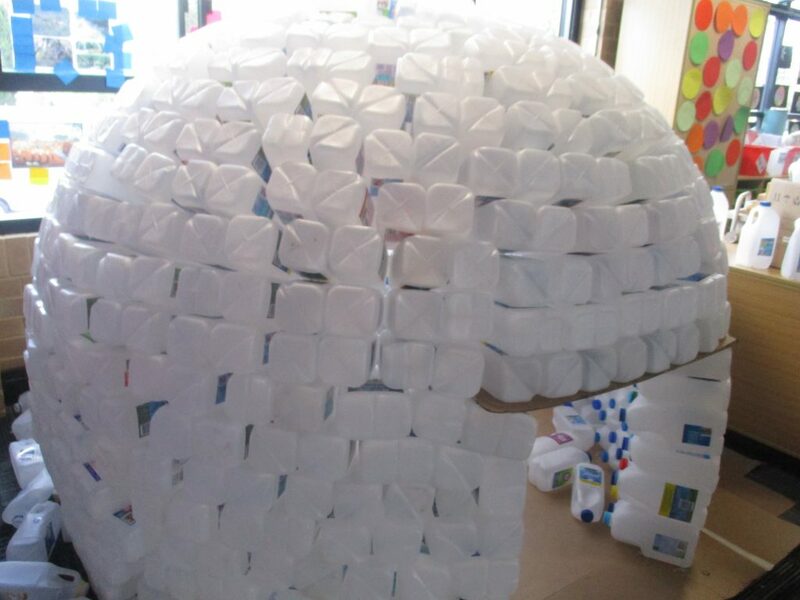 How many milk cartons will we need to go around the outside of the igloo at the base? How many layers will we need to complete the igloo? Is it stronger to build it like a brick wall or put the milk cartons on top of each other? How tall will it be? 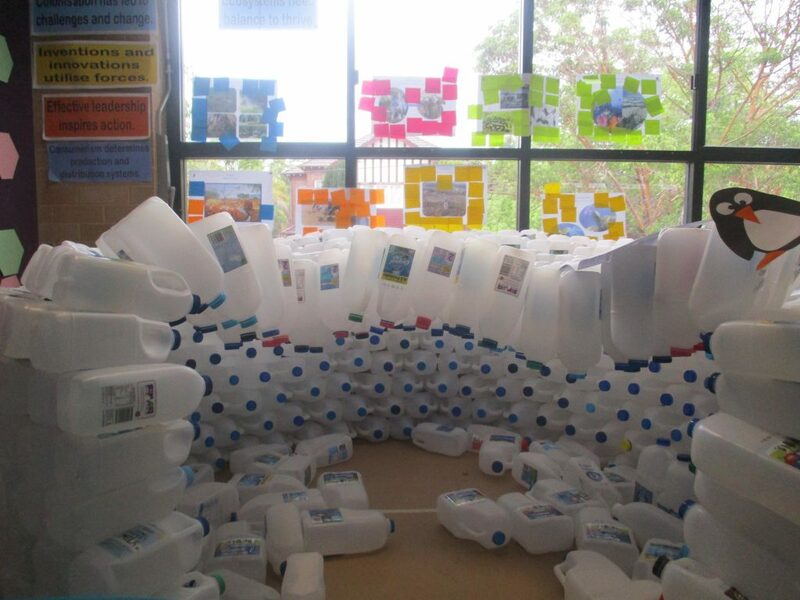 Interest for the igloo was infectious and collaboration was pivotal as all members of the community assisted us in the collection and storage of milk containers. Everyone was predicting, hypothesizing and researching to find solutions to questions; how real igloos can be constructed and discussing strategies to construct our igloo. We began with a cardboard base, and reached a consensus about its size. The students then began building. In the initial stages of “the build”, the roof collapsed and students were disappointed that we had failed. However, as courageous, knowledgeable, risk takers, we talked about learning from mistakes, resilience, and problem solving. We brainstormed what we thought went wrong—discussed possible solutions and researched online how other people had built milk carton igloos. We worked collaboratively and generated a list of how we should approach the rebuilding stage. We deconstructed part of the roof and a few top levels and began rebuilding. 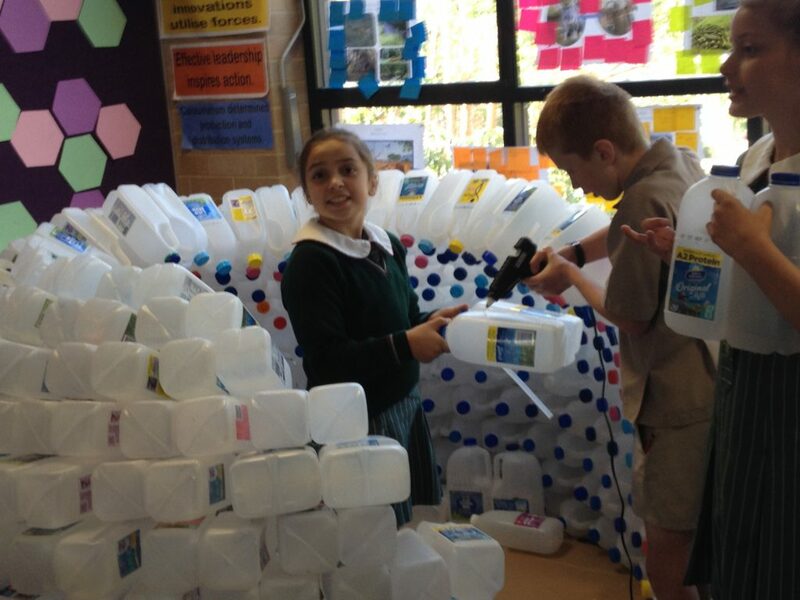 Students had many ideas and we worked with their suggestions to create our current stronger, stabilised igloo. 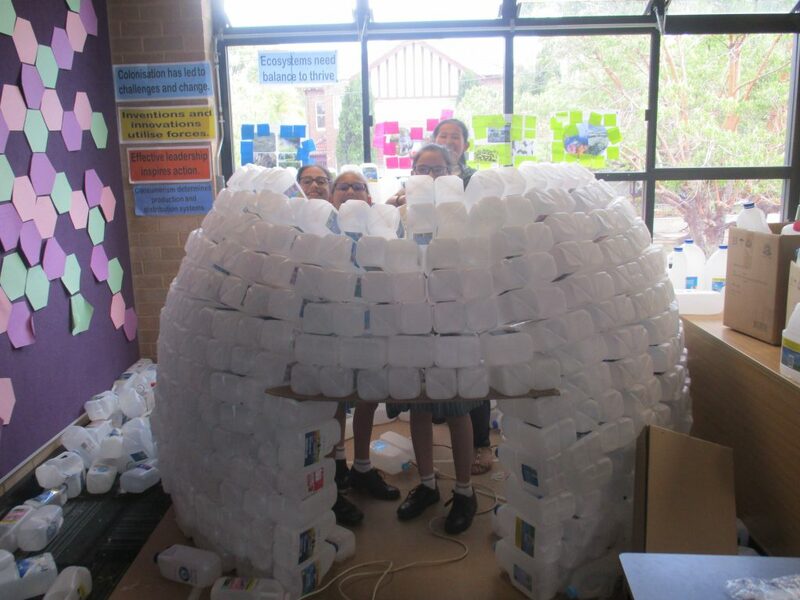 Indeed, the igloo has taken on a life of its own, as students continue to share ideas and engage in mathematical learning experiences, developing their understanding of volume and capacity; estimation; patterns and algebra; geodesic domes and more. We have a question wall that includes mathematics questions from students and also a range of questions from parents, grandparents, teachers and visitors to our classroom. Below are examples of questions from our students. How much milk was drunk to give us the milk cartons? How much would this cost? How much glue did we need to use? If there were no gaps between the milk cartons and no door, how long could we breathe before we ran out of oxygen? How much does it weigh? How can we work this out? Students also came up with questions that focused on design and structural wonderings. Does the igloo’s curve have to be a specific shape so that the igloo will not fall? What is the angle of the milk cartons and how does it change as we build the roof? Why do the bottles above the windows not fall down? Is it possible to build our igloo from the top down like a geodesic dome? Would it be stronger? The next step will be for the students to select questions and engage in research and self-initiated inquiries. We welcome any additional questions and ideas. 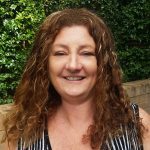 Leonie McLaren is a year 5 class teacher at Santa Sabina College in Australia and has 5 years of the IB Primary Years Programme experience. She has had a variety of roles at this school as well as at other schools. 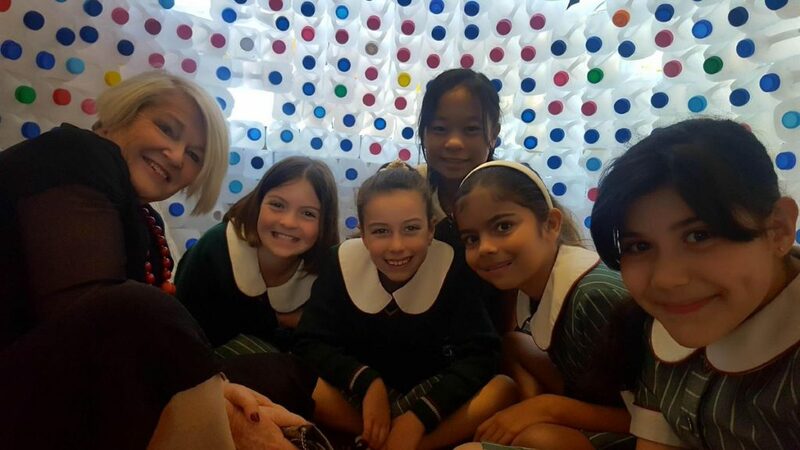 Leonie is passionate about encouraging students to challenge themselves and develop a true love of learning. She believes it is vital for them to make connections between the learning in the classroom and the world outside, and the inquiry process supports this in an authentic manner. What a wonderful way to make maths engaging and fun. An awesome teacher leading exciting learning activities. An inspiration.